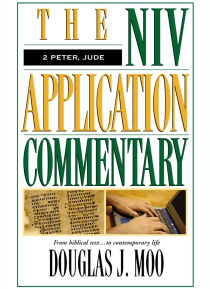 The apostles Peter and Jude wouldn't have made good postmodernists. They insist that there is such a thing as absolute, non-negotiable truth, as well as error and deception. They speak of false doctrines and those who teach them as if they actually believe that eternity hangs in the balance and that God, far from shrugging his shoulders like a good relativist, takes the matters of truth and spirit… ual authority very seriously. Today the fiery, unapologetic language of 2 Peter and Jude can open our eyes to stark spiritual realities. Like few other apostolic writings, these two letters shake us awake to the vital necessity of embracing the true gospel and transmitting it undistorted. The message is as countercultural as possible, and profoundly timely.